Cloud contact centre vendor NewVoiceMedia has helped Ukash reach the final in the ‘Best Application of Technology’ and ‘Small Contact Centre of the Year’ categories of the European Call Centre and Customer Service Awards 2014. Leading online cash payment provider Ukash has significantly enhanced its customer experience and increased ROI since deploying NewVoiceMedia’s cloud contact centre technology ContactWorld for Service with Salesforce integration. The company implemented the solution in October 2012 to deliver a support service to customers in more than 55 countries, and has since reduced customer effort by 15 percent. Call abandonment is down to less than three percent, first contact resolution has increased to 72% and customer satisfaction has improved considerably. Jonathan Gale, CEO of NewVoiceMedia, comments: “The European Call Centre and Customer Service Awards recognise and reward the most successful individuals and organisations in the contact centre and customer service industry, so we are incredibly proud to have reached this stage. 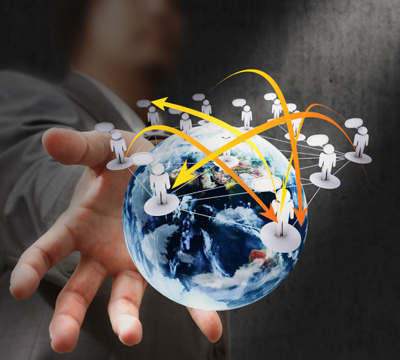 As ContactWorld has intelligent routing at the heart of it, Ukash has been able to offer its global customer base, a unique, joined up and personalised service which has greatly improved satisfaction rates. We look forward to hearing what the judging panel has to say about our joint efforts”. “The Awards are a great benchmark for a company like Ukash that is dedicated to delivering service excellence – we’re thrilled to have been shortlisted”, comments Emanuela Azzarello, Customer Services Manager at Ukash. “We brought our customer support in-house in an attempt to offer the very best possible service, and have certainly achieved that since deploying ContactWorld. We’ve seen incredible improvements in the service we provide, as well as in our business operations”. The European Call Centre and Customer Service Awards recognise excellence in the call centre and customer management community and will be presented at a ceremony in London on 12 June 2014.